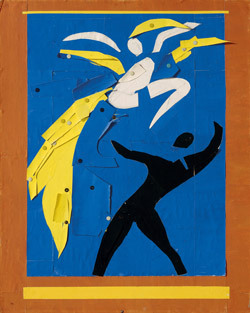 In his cut-outs, it may seem like Matisse went from wild beast to tame decorator. But there's more to his dancers than meets the eye. In the year 1905, Henri Matisse painted a portrait of his wife wearing a rather extraordinary hat. 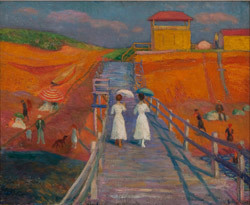 The painting was displayed at the Salon d’Automne in Paris that same year. Much shock and controversy followed. To many, the hat looked like a giant lump of randomly chosen colors sitting atop the poor woman’s head. What, also, was the point of all the green on the woman’s face? People and hats don’t look like that. The world doesn’t look like that.